Maintenance is a highly important factor when considering the viability of the installation of green roofs. All green roofs and walls will require some form of annual maintenance; the exact level of maintenance needed will depend on the type and desired purpose of each specific installation. It is perceived to be one of the largest barriers to their installation. 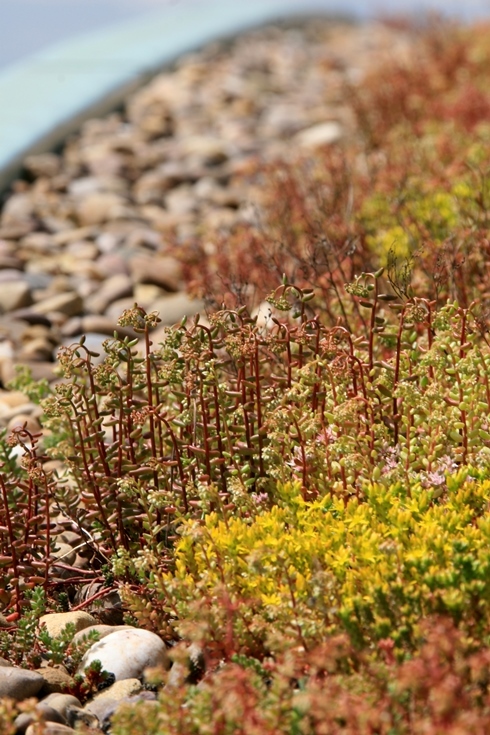 A typical extensive sedum or meadow roof will only require limited maintenance. Once or twice a year to weed and feed should be sufficient. Keeping edges tidy and gutters clear will help stop damage to your roof and the underlying building. 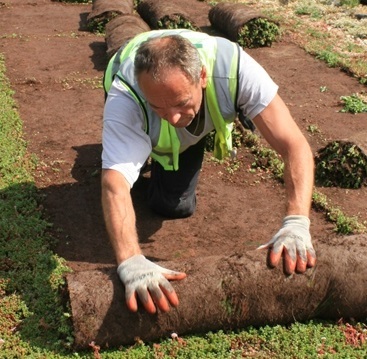 Some patching might need to be done, which can be achieved by buying in new rolls of sedum mat / seed and replacing the die-back. Without regular maintenance, costly remedial works could be required further down the line to correct problems that could have been dealt with easily. Extensive and biodiverse green roofs may well need more attention depending on their design. These roofs are commonly implemented to satisfy BREEAM stipulations, primarily those stated in the ‘Land Use and Ecology’ section. Habitat management plans are often drawn up pre-installation, which will require further work after installation is complete. Easy access to the roof will always help cut costs, if a cherry picker or scaffolding system is needed this will obviously put the price of maintenance up. Roof maintenance where there is no edge protection should always be carried out by qualified professionals that will use roof harness systems. Contact one of the Green Roof companies in our database for further advice, information or quotations. Click HEREto search for a Green Roof Installer / Maintenance company. The shallower, extensive varieties of green roofs are usually designed to have relatively simple maintenance requirements. This is not to say that they can just be left, however. Extensive green roofs may require watering on a regular basis, as well as the elimination of undesirable flora (such as weeds) from the area of the roof and the gravel or shingle perimeter. It will also be also necessary to check that the drainage system is clear of debris, usually at least twice a year.